Campaign's weekly round-up of the hires, departures and promotions across the industry. M&S’s Patrick Bousquet-Chavanne, previously executive director of marketing and international, has been promoted to executive director of customer, marketing and M&S.com. The changes will see him take on responsibility for the M&S website and its Plan A sustainability programme. Mel Exon, the managing director of Bartle Bogle Hegarty, will leave the agency at the end of June to take up the role of chief executive at The Sunshine Company. Adam Arnold, the BBH deputy chairman and chief executive of BBH’s branding arm Zag, will take over Exon's role at BBH. Russ Lidstone, the former chief executive at Havas Worldwide, has been appointed as the CEO of WRG, the experiential agency. Lidstone will divide his time between WRG’s headquarters in Manchester, its London office and its operations in Hong Kong, Philadelphia and Basel. Virgin Media has snaffled John Lewis’ head of online marketing, Lloyd Page, to become its director of brand. Page joins in June and reports into CMO Kerris Bright. He will manage media budget, as well as Virgin Media’s content and social strategies. Iris has appointed David Prideaux, a former executive creative director at Publicis Chemistry, as its joint executive creative director in the UK alongside Andy Taylor. The appointment follows the exit of Chris Baylis, the previous joint UK ECD, who left after Christmas to go freelance. Prideaux had been freelancing at Iris since September last year. MediaCom UK has appointed Zoe Osmond to the role of managing partner, marketing and business development. Osmond will join the agency in September this year from Oystercatchers where she held the role of managing partner for two years. James Shepherd has been appointed as EMEA commercial director at M&C Saatchi Mobile, joining from Havas Media Group where he was the head of mobile. He has previously led mobile strategy at Ogilvy One, Engine Group and Blippar. In his new role, Shepherd will be responsible for driving business growth and shaping the strategic direction for M&C Saatchi Mobile clients across EMEA. Oliver Group has poached Havas London’s head of technology, Michael Olaye, to be as its group chief technology officer. He has been tasked with spearheading strategic technical planning for the group, as well as playing a "pivotal role" at Dare. MEC has promoted Kathryn Saxon to the newly created role of head of research. Saxon, previously MEC’s research group consultant director, has worked at MEC for ten years, joining as a consultant and rising to group director with a seat on MEC’s digital strategy board. Chris Liveing, group marketing director, has resigned after five years at the Lyca Group. It is not known whether he has another job lined up. Liveing joined the Lyca Group in 2010 when the Lycamobile. As group marketing director from May 2011, he was part of the senior management team that expanded the Lycamobile footprint from seven to 20 countries and more than trebled turnover to €1.6bn. The Financial Times has strengthened its content marketing offering with the appointment of Ravi Mattu as editorial director of FT2. In this new role, he will lead creation and distribution of advertiser content within a fast-growing area at the FT. Most recently the FT’s tech, media and telecoms news editor, Mattu joined the FT in 2000 and has held a number of senior editing roles, including editor of Business Life and a senior editor at FT Magazine. Research consultancy BritainThinks has established a new advisory board of three senior leaders in communications to provide strategic counsel to its rapidly growing global insight and strategy business. 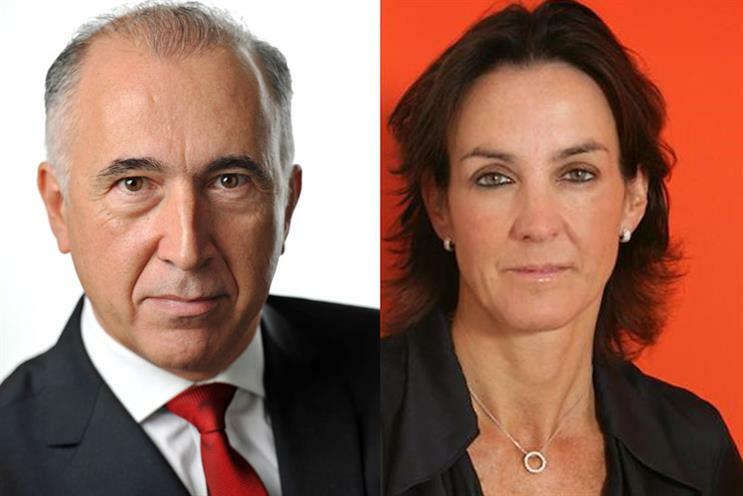 The members of the advisory board are Mark Lund, CEO of UK McCann Worldgroup and former chief executive of the COI, Daniel Finkelstein associate editor and columnist for The Times and Justine Roberts, founder and CEO of Mumsnet and Gransnet. The formation of the new advisory board follows the recent appointment of Spencer Livermore, formerly of Saatchi & Saatchi and Blue Rubicon, as a partner with the remit to build a new strategy consulting offer at BritainThinks. Innis & Gunn has appointed Jane Cannon as its first head of marketing. Cannon joined the craft brewer last August as global marketing manager, after seven years as brands marketing manager at Tennent Caledonian Breweries, and previously held marketing roles at Scottish Power and the Scottish Government. In the new role, she will develop Innis & Gunn’s global brand strategy and lead its execution across existing and developing markets. Bauer Media has appointed Liz Martin as commercial marketing director, working across its multi-platform portfolio of influential media brands. Martin, who starts on 23 May, will be responsible for developing the commercial marketing strategy, and is currently the publisher on Bauer Media’s music, film and maturity markets.